I am a premium employer and between my two accounts, I easily spend 400k a year. I have found that my support as a premium employer has become non-existent. I have always had great account managers but now they all seem to have disappeared and I have no direct point of contact at Upwork. I cannot imagine any other business having a client who spends as much as I do and not providing them direct access to an account manager. But that's not what I am writing about. My bigger concern is the rampant and OUT OF CONTROL issue of phony freelancer accounts. I recently tried to hire for a job and out of 5 interviews, all 5 were not in the country they claimed to be from. Some claimed to be in East Europe and others claimed to be in Canada or the United States. I voice verified with them and they were all Chinese. I have been reporting this issue for years, yet Upwork seems to not want to do anything about it. It seems like it would be pretty simple to weed out these fakes, given that I found 5 of them on ONE job post. I think that Upwork is turning a blind eye to this problem because they are still getting paid on work these phony developers do. This is a total disservice to people like myself who depend on Upwork. By ignoring the issue you are allowing employers to get scammed, the very people you depend on for your business. I apologize for the bad experience you had with the freelancers you interviewed and reported. To confirm that we have a procedure to check this type of freelancers and take proper actions towards but reporting them also helps us in investigating them faster and taking proper actions. One of our team members will reach out to you directly so that we can provide you the support needed and also to send us more details about this freelancers via ticket, so we can check if proper action was taken based on your earlier reports. Our team will also investigate why you weren`t able to contact our customer support and assist you further with this as well. If you have any additional questions feel free to post them here, thank you! I don't buy it. As a company you have known about this issue for many years and I cannot believe that you are taking any steps to control the problem because it has become 10x worse. This is frankly a distressing report. And it is unfortunate. I have worked with Chinese freelancers - individuals who live in China and say they live in China. I have great respect for the quality of their work and their professionalism. I worry that a relatively small number of dishonest freelancers masquerading as someone they're not could permanently damage the reputation of a large group of people. Claiming to be from somewhere else is not only dishonest and against TOS... it is also totally unnecessary. And potentially very harmful. I'm a freelancer but I get your frustration, I really do. This affects everyone. 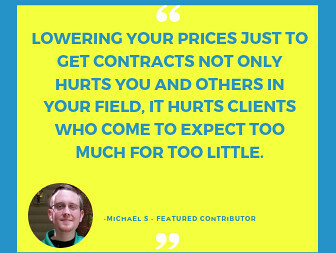 My very first long-term contract was for a native English editor and started with the client apologetically requesting a Skype call to verify that I met that description because the previous two she had hired did not. There's a lot that Upwork could do to improve this situation. Believe me, I'm no apologist for the site; I've certainly been vocal about many things here in the past. But at the same time, I do think they are working on it. I see more and more comments (mostly off this forum) from people about video verification requirements, and often from people who were flat out denied entry to the site. This latter policy is fairly recent -- a couple of years ago, they took all comers. I always believe in looking at the incentives. Here, Upwork has no incentive to let scammers flourish and every incentive to ensure clients like you are happy. For that reason alone, I don't think this is being ignored. I just think this is one of those cat-and-mouse things, like hackers and antimalware software providers, where there never will be victory by either side, just constant adjustment and adaptation. It's annoying but just part of the "joy of the Internet." The scammers play games by using shill accounts to pump up their stats, but there are usually still tell-tale signs that they aren't what they say they are. Obviously, the longer the track record of the freelancer, and the further they are from the "budget range," the less chance of a problem. If you ever have a concern or want an opinion on anything you're considering, feel free to drop me a PM. I'd be glad to help if I can. Before condemning fake Chinese freelancers, let’s distinguish between Chinese freelancers with fake locations, photos and names, versus freelancers of Chinese ancestry who live outside China and provide real names and photos. 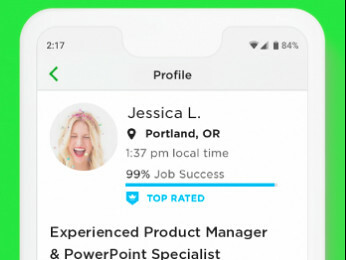 Upwork seems to require video verification, which should detect obvious fakes, for all new freelancers after they complete one job, but perhaps video verification should also be required for a rising talent badge. 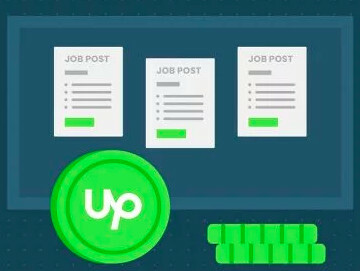 Finally, there seems to be a market for selling Upwork profiles, but there’s no program to prevent this practice that I know of. Those of us who maintain truthful stats about who, what, when, where and why in regards to our profiles feel nothing but distress (and quite a bit of embarrassment) when clients point out these failings. And oh yeah, quite a bit of anger too. As Janean has stated, we get scolded when we point out fraudulent profiles; I've mostly given up or curtailed that practice ... it's easier to bite my tongue. Upwork claims to be doing something about this problem by doing ID verifications. They've stated that everyone on the site will be verified. What I've pointed out but have never gotten a response to is that as long as they keep letting five million (exaggerated to make a point) new people sign up every single day, they're never going to be able to verify everyone. I don't get it. It feels like Upwork doesn't care about it's reputation as long as their bottom line isn't affected. Instead of working on this (serious) problem, they keep coming up with totally useless initiatives to "improve" our experience with the site. Priorities are not in order ... at all. A few posts have been removed from this thread as they were in violation of Community Guidelines. I would like to clarify once again that we do take reports of ToS violations seriously. What we can't allow is publicly discussing specific violations, specific violators and actions taken against their accounts. Not only because it's against Community Guidelines but also because we want to protect the integrity of our processes for identifying fraudulent accounts. I have to say I posted a Job and so far I have not seen one real account, European Accounts specifically even Mexico, after speaking with these people they clearly had very strong Asean Accents, the Account from Mexico did not understand his language. The chinese German, in each case, the picture was fake and so if these freelancers lie about their identity and Location how can I be sure about their skills or honesty in general. One of our team members will reach out to you via ticket where you can share more details with us about this. Our team will investigate the freelancers further and if any violations are found, proper actions will be taken. Thank you.